Soulja Boy Twitter Beefs Fabolous! Posted in Music, News, Videos with tags Atlanta, Brooklyn, Fabolous, Soulja Boy, Twitter, World Star Hip Hop on September 7, 2010 by C.
Soulja Boy Twitter beefs Fabolous and the clip shows the exact words. Soulja Boy going in deeper than he should, especially versus Fab. I was with Chuckee at the hotel when his Dad, Big Man took this pic before the show. Catch Lil Chuckee and the rest of the Young Money fam, Weezy, Jeezy, Drizzy, and Soulja Boy in Cleveland tonight and tomorrow in Washington, D.C. Send all photos of Chuckee from the tour to ilovelilchuckee@gmail.com or bookme4thetour@gmail.com, I’m sure he’d love to see all of them. He’ll probably put them onto his Facebook Fan Page and MySpace Page when he has time. 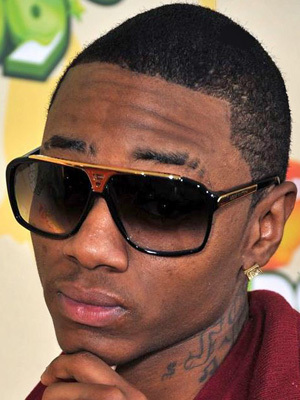 Soulja Boy – Successful (Remix). I just spotted this at October’s Very Own (Drake’s Official Blog).